They have been building the stage for two days now and it is pretty much ready. The band is flying in as we speak, now on Tuesday May 20, and Oslo will be Stones Town now for a week. It is great to see all the trucks nicely lined up outside the arena. Top security already. Edited 5 time(s). Last edit at 2014-05-23 01:14 by bv. I am starting to get getting goosebumps! I had a grandmother who's ancestry has been traced back to Oslo. So this concert has some additional meaning for me. Her maiden name was Johnson. The Band is flying in!!!!!!!!!!!!!!!!!!!!!!! cant wait for Stockholm, July 1. So it's official! The tour is on! The Stones are coming! The Stones Are Coming!!!!! bv, may the Stone's rolling fleet inspire your running feet tomorrow! Quite a step up from the days of Stu and the Commer. The first sign of the concert preparations was the trucks arriving into Fornebu and Telenor Arena on Monday. Then Tuesday around noon Sally Wood strolled on the main street Karl Johans gate making a tweet from a souvenir shop with Norwegian flags and trolls. Seks dager før The Rolling Stones spiller bygges scenen. Lyd- og lydprøver er i gang. Edited 1 time(s). Last edit at 2014-05-21 06:00 by bv. BV: You gonna ride your bike? I did for Rotterdam 03 and it was pretty fun. I will run but I might bring my bike too in order to check out nearby locations at Fornebu today... Bike will be faster than car out there today. Edited 2 time(s). Last edit at 2014-05-21 17:10 by Nikkei. 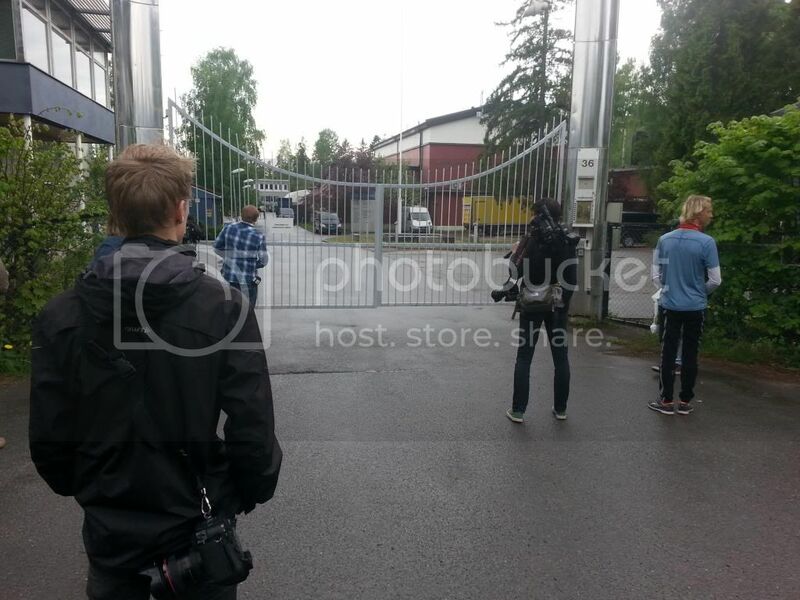 Reportedly they`ve started rehearsing secretly at the film studio at Jar, just outside of Oslo, but not far from the venue. Will we see them out on the town? Edited 1 time(s). Last edit at 2014-05-21 18:19 by noughties. I'm so HAPPY for BV and all of you that will be seeing The Stones SOON! Have fun everybody and keep the IORR updates coming! They are currently rehearsing in a studio just outside Oslo. Mick Taylor is there too. bv, you just made my day! One Love Gold Rings On Ya! Edited 1 time(s). Last edit at 2014-05-21 19:40 by Stonesfan2146. You talk as this is again a secret but the anwser is just linked in the message before your. Do you really think that an English speaking fan is gonna know for certain that Mick Taylor is there? There's also a mention of Bruce Springsteen and he probably is not there. That article is in Norwegian and I for one don't speak it. Thanks for the info BV. I am so happy I will see Mick Taylor on stage Monday with The Rolling Stones. I talk to all of the press i.e. TV2, NRK and some other journalists who do not say they are journalists out there. They are all real nice and professional, but to be honest, how would you know who has the right and who has the wrong information? I am just giving the first hand facts here on IORR, the journalists listen and print what I and others say out there... Fans, neighbours, dog walkers, you name it. They have many sources. May be it is nice to have confirmed info from real fans? Anyway, The Stones are in Oslo, the security is tight, they work hard and seriously on the rehearsals, only a cat managed to get through the gates. They might hide out in London, but in sleepy Oslo where nothing happens there are 12 press people and 12 fans, a nice little group of followers. Everyboddy is happy. I am so glad for you BV, they are in your country. So close. Thank you so much for the reports! YGMR, RESP, ER and more. They work hard.